We’d built our own engine, but it still wasn’t complete: We needed an intake, fuel rails, and a throttle body before we could call it ready to swap into our 350Z. 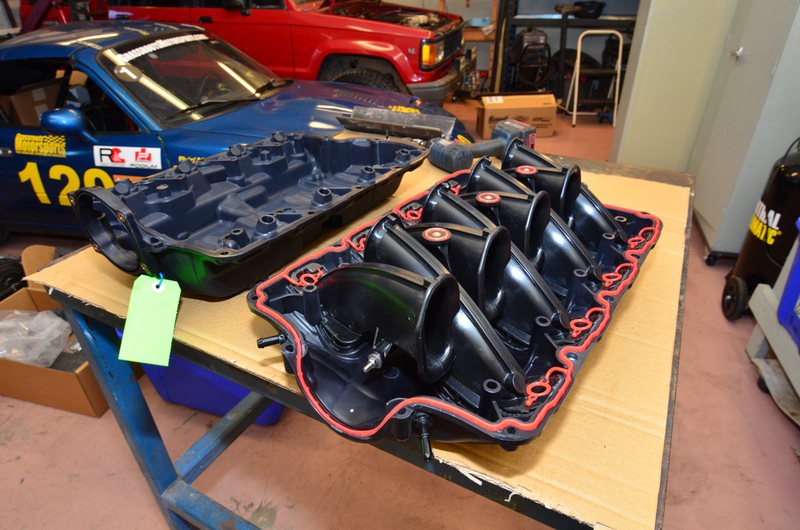 Like our factory LS1 heads, our original intake manifold was nothing to write home about, either. 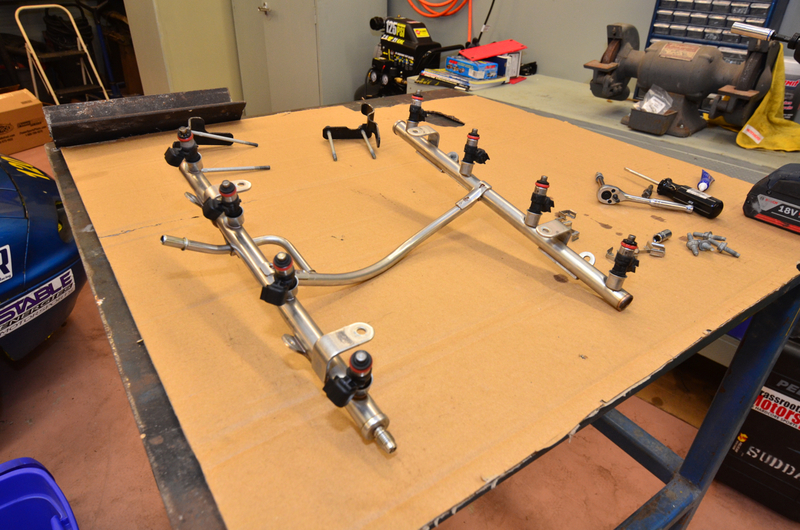 We priced fuel rails and the electronic throttle body that our Gen IV ECM was expecting, and had a little bit of sticker shock: The LS3 throttle body we wanted was going for over $200 on eBay, while a set of OEM fuel rails cost nearly as much. We’d still need injectors and a MAP sensor, too. So instead, we went about it a different way: We spent nearly $500 for a complete LS3 intake manifold off of a Camaro, which came with the throttle body, fuel rails, injectors, and MAP sensor we needed. 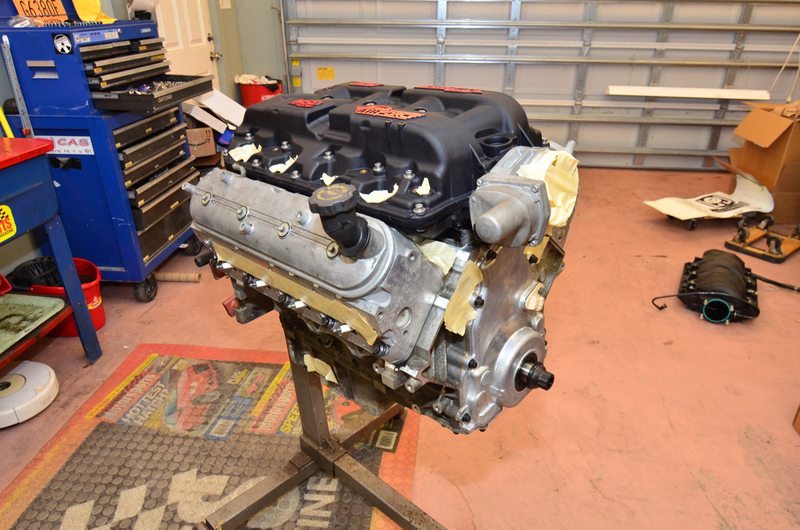 Then we sold the LS3 intake to a friend for $200, saving nearly $200 over buying the parts a la carte. Oh, right, the intake–notice we still didn’t have one. We need to come clean here: we splurged and totally hit the “shiny new parts” button on this one. We called MSD and ordered one of their Atomic AirForce intake manifolds. Does it look cool as hell? Absolutely. Does it feature a gigantic throttle bore so we can add a big aftermarket throttle body later? Yep. Does it make power? MSD claims we’ll see 20 horsepower and 20 ft.-lbs. Does it have any downsides? Well… it costs $1000. Hey–buy once, cry once, we figured, and it’s just too easy to blow huge wads of cash on a project when it’s almost done. We’ve heard lots of positive things about this intake, and couldn’t resist trying it for ourselves. Once the intake was on, all we had left was the details–like the wiring, water pump, alternator, flywheel, headers and more. We’ll cover all of that later.